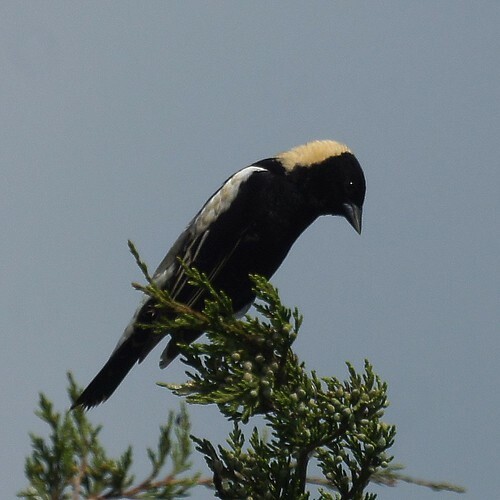 Inspired by the reports of bobolinks and a few hours of nice weather, we took a trip to Hoffman Park in Union. 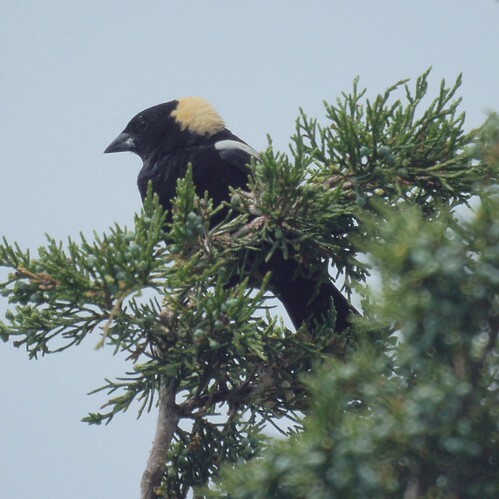 Upon pulling into the park, we heard and then saw a male bobolink. 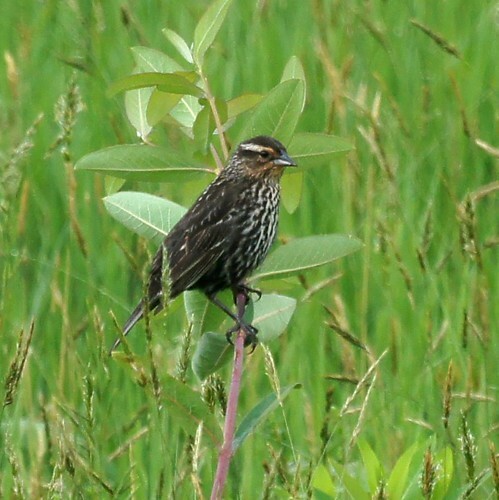 We got some good looks and photos. 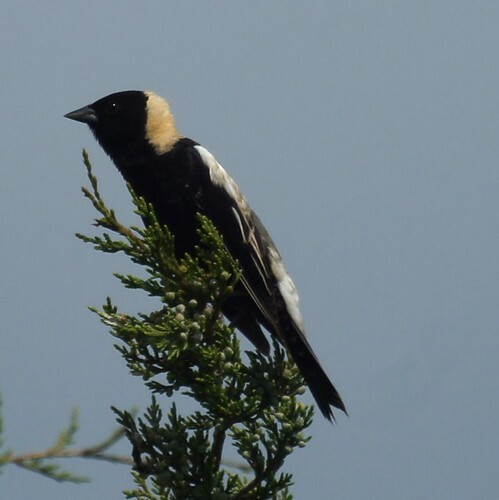 We could have just turned around having accomplished our mission, but we stayed awhile longer and then encountered a few more bobolinks including a female. 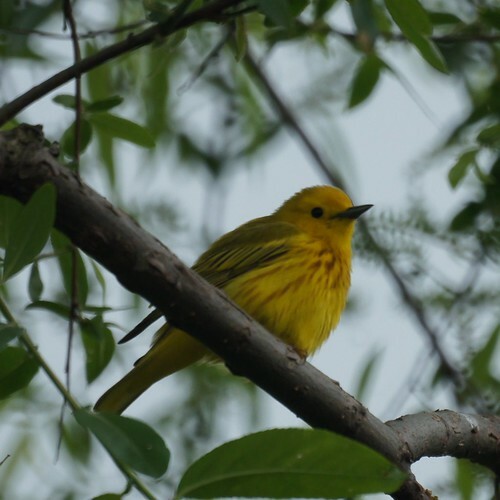 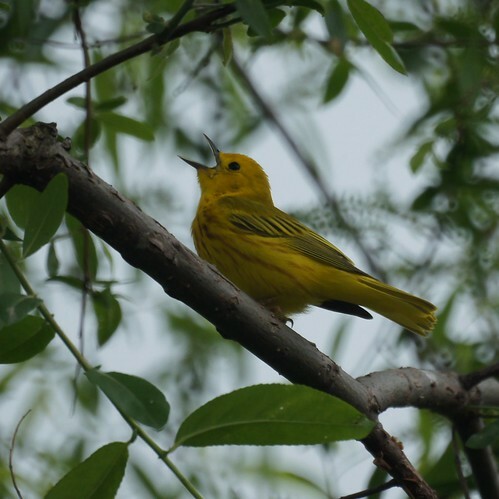 We also saw a cedar waxwing, a phoebe, a brown-headed cowbird and a yellow warbler (below).